It is that time of year again! 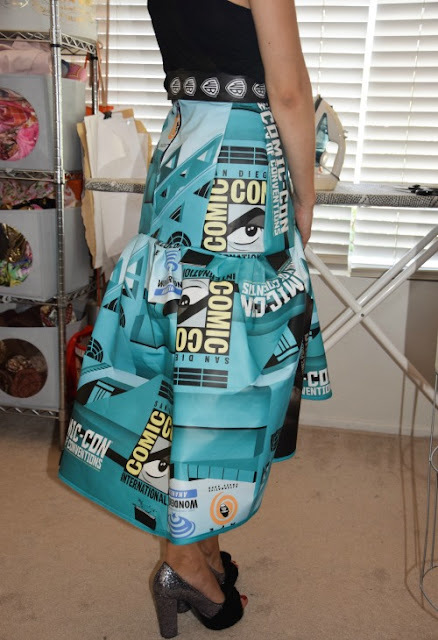 Everyone adored my SDCC WB swag bag dress last year, that I just HAD to do another one! I have THE best friend Louise who is an amazing designer and she was up for another challenge this year! I told her this year that I just wanted a BIG ball skirt and boy did she deliver something even BETTER than what I imagined! 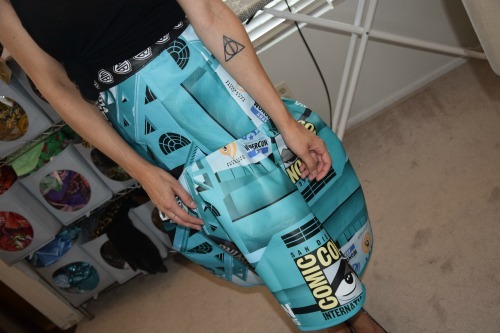 LOOK at this skirt it is amazing! I cannot WAIT to rock it at Being Geek Chic and I's Geeks Go Glam party on Thursday night at the San Diego Central Library. That is so cool! You look great :) How many bags does it take to make something like that? I love it! I can't wait to see the complete look! Amazing! Looks great on you.